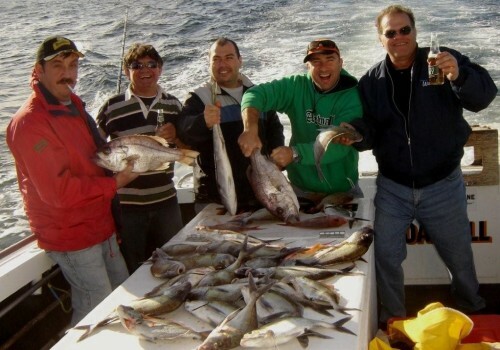 Catch game and reef fish from Port Stephens (mid Jan- mid April) and from Sydney (mid April – mid Jan) with two of Australia’s most respected fisherman…. Father and Son Captains, Ross and Glenn Hunter. Their “Lifetime of Fishing knowledge”, gives you every chance of catching “THAT FISH OF A LIFETIME” Captain Ross and Glenn are dedicated fisherman who will be trying right up until arriving back at the dock to catch fish for you and your crew. This tour is on BROADBILL and was designed and built from the keel up by its captain Ross Hunter. Ross as founder of the boat building company Marlin BROADBILL designed his boat with fish catching efficiency foremost in mind. Inclusions: Fishing tackle is the best of Shimano, rods and reels from 37kg to 3kg, bait, lures and a qualified deckhand to attend to all facets of fishing for you. 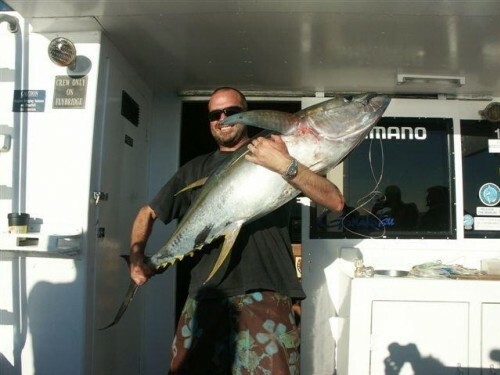 Catch game and reef fish with two of Australia’s most respected fisherman…. Father and Son Captains, Ross and Glenn Hunter. Their “Lifetime of Fishing knowledge”, gives you every chance of catching “THAT FISH OF A LIFETIME” Captain Ross and Glenn are dedicated fisherman who will be trying right up until arriving back at the dock to catch fish for you and your crew. The waters of Sydney and Pt Stephens contain some of the finest fishing found anywhere in the world. Catches of up to 21 marlin in a day have been recorded by the boys. In summer black,striped and blue marlin are caught… (Broadbill’s 297kg on 24kg tackle is still a Sydney record)… Giant mahi mahi, wahoo and tuna are targeted as well during these warm months. 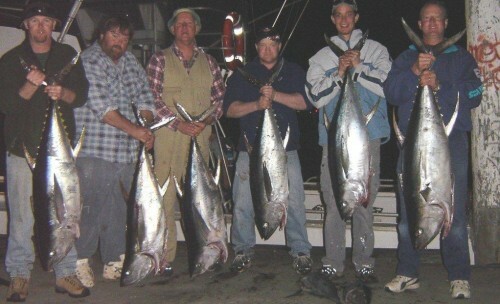 Then when the waters cool in winter, it is full on action with Sydney’s gut busting yellowfin tuna and giant mako sharks. 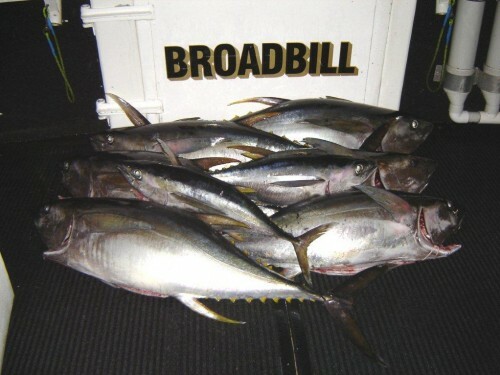 Yellowfin tuna to 100kg frequent our temperate waters. If it is a day on the reef fishing for big snapper Ross and Glenn will ensure that a good feed is taken home. Fish with boys and their crews… Come and enjoy the relaxed company of Captain Ross and Glenn Hunter on their famous boats BROADBILL and BILLFISHER … they have earned their reputation as the finest and most dedicated skippers on the coast. Ross Hunter & BROADBILL was designed and built from the keel up by its captain Ross Hunter. Ross as founder of the boat building company Marlin BROADBILL designed his boat with fish catching efficiency foremost in mind. Glenn Hunter & BILLFISHER is a superb state of the art high speed gamefishing vessel. Recently purchased by the Hunter boys she is designed from the keel up to catch fish. She is fully equipped with everything to make your trip that little more comfortable.